In the heart of Catalonia, away from the vibrant city of Barcelona, there is a peaceful retreat of Montserrat. The highest point of the region is a hideout for a monastery as well as one of the best day-trip destinations just outside Barcelona. Montserrat or a “serrated mountain” in Catalan is a mountaintop Benedictine monk monastery. A trip there is one of the best things you can do when visiting Barcelona, as it combines nature, history, exercise, and religion. 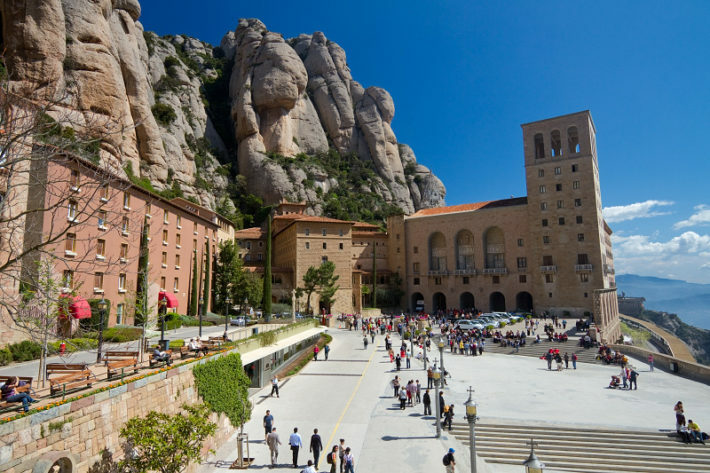 If you want to make Montserrat the highlight of your trip to Barcelona, be sure to take in as much as possible. 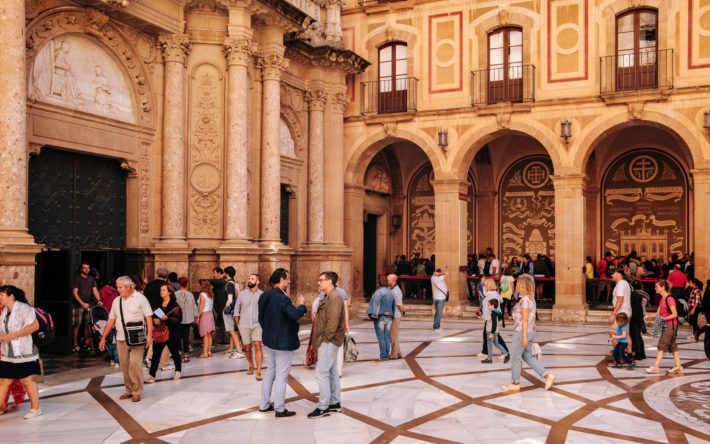 Montserrat has so much to offer – the beautiful Santa Maria Abbey with its’ magnificent basilica, choir, the famous Black Madonna statue, a museum, and breathtaking landscapes. One of the two patron saints of Catalonia, having so many names such as the Virgin of Montserrat, or the Black Madonna, or La Moreneta, is one of the most famous Black Madonna statues in the world. Legend says that the whole monastery was built around it and it is the main sight many people arrive to see here. You will most likely have to wait in line to traditionally kiss her hand, so make sure it is something very meaningful for you and worth waiting for. The museum holds six permanent collections including various famous pieces of artwork and is must-see if you are a fan of art. The all-boys’ choir officially started at the beginning of the XIVth century and is now well renowned all around the world. The boys mostly come from Catalonia, their repertoire consists of Gregorian chants and other religious pieces. The choir is definitely worth to hear when visiting Montserrat. You don’t have to be very lucky to do that, as they sing daily in the Basilica of Montserrat. 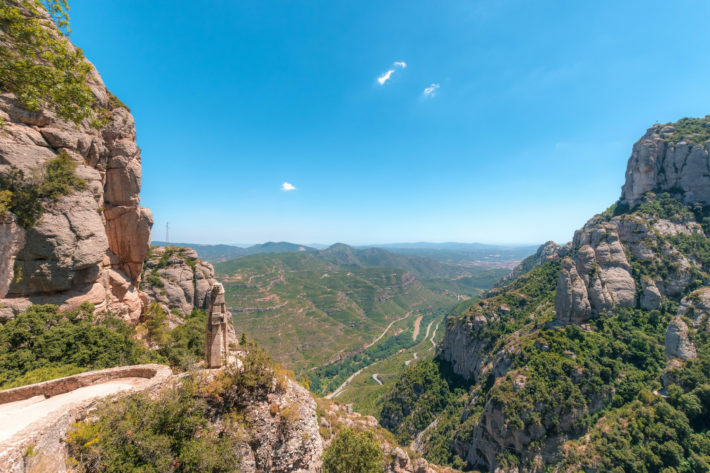 If you are not that into religion or simply enjoy nature more, remember that Montserrat is the highest peak of Catalonia and the panoramic views will just blow your mind. There are trails of various difficulties, all of which can award you with beautiful rocky scenery and old chapels of Sant Joan or Santa Cova. 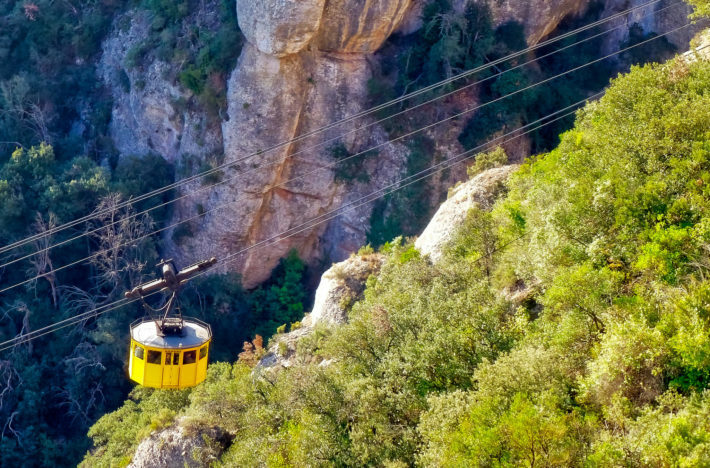 You can also take the steepest funicular in Spain and go to the highest point of Montserrat (Sant Jeroni) which will reveal a picturesque landscape of both the countryside and mountains as well as the monastery. I could go on and on about the beauty of Montserrat, but it is not something to talk about as much as something definitely worth visiting. 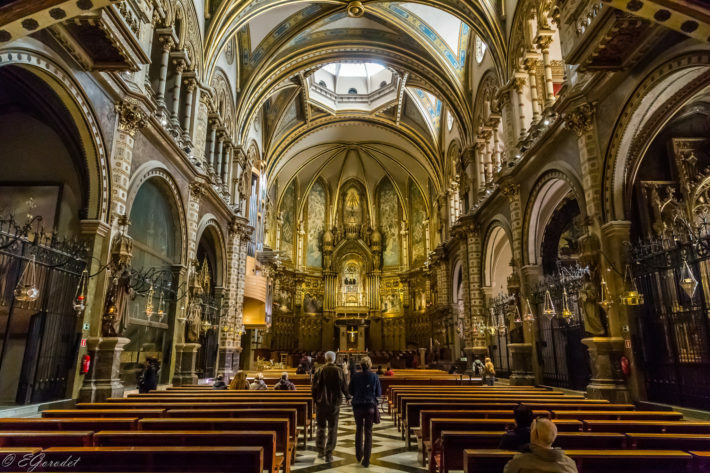 This spiritual, peaceful place of religious importance and the breathtaking beauty of its’ surroundings is a standout in all Catalonia waiting to be explored.